We are supporting the ‘Imarisha’ Just and Resilient Communities Project in partnership with the Anglican Church of Kenya. 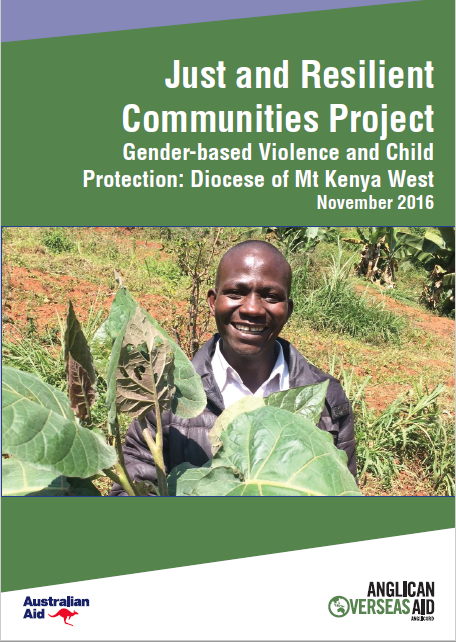 This project is implemented in Nyeri County in the Diocese of Mount Kenya West. The project seeks to build safer communities, by addressing the link between poverty and violence against women and children. The Anglican Church of Kenya aims to raise community awareness about the realities of domestic violence, and how to support survivors. This report presents the findings of an evaluation of the project from 2014 to 2017. If you would like to donate to this project, click here to go to our donations page.